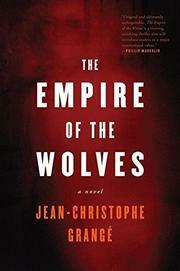 Fourth novel from French reporter-turned-mystery-writer Grangé (The Stone Council, 2002, etc. ), packed chock-full with extreme mutilations. Believing that you’re not who you seem to be could be considered a trope of bourgeois Parisian life. But young housewife Anna Heymes turns out to be right. Suffering from memory loss, including the inability to recognize her husband, she wonders whether he’s had plastic surgery. Well, one of them has, but it’s not hubby: in the bathroom one day, Anna discovers that her entire face has been smashed and remade. Okay, then, time to scale the balcony and take off in search of the Truth. Meanwhile, back at the cop shop, a cute, idealistic young inspector named Paul and a grizzled, corrupt old flic named Schiffer (whom everyone refers to as the “Cipher”) are on the trail of a serial killer who is butchering redheaded Turkish girls with an intimate ferocity that seems personal. (His techniques include removing their facial features.) As they bumble through the Turkish quarter, the pair begins to suspect that the true culprit may be the Grey Wolves, an elite organization of Turkish guerrillas whose ties to both right-wing politicians and organized crime scare the bejesus out of any potential witnesses. The Turks seem to be looking for a redheaded woman who double-crossed them. The newly liberated Anna, along with a chic psychiatrist sidekick, uncovers a brainwashing plot that has nothing at all to do with the Turks—though she finds she has skills more befitting a trained warrior than a housewife, as well as a red hairline. Soon, most of the characters meet up, and all goes to hell, leaving trails of wretchedly mutilated corpses across a couple of countries. The author’s healthy appetite for merrily killing off any and all of his characters is not enough, alas, to add suspense to his tale.